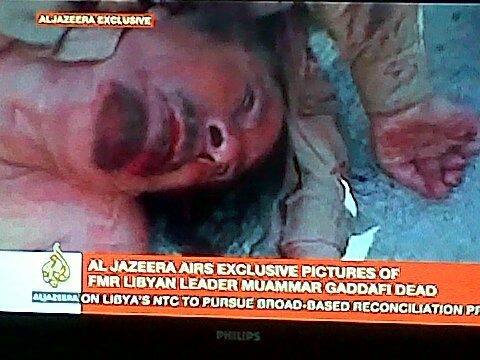 Disturbing images of a wounded, roughed-up and reportedly dead embattled Muammar Gaddafi - once the strongest man in Libya for more than 40 years - being dragged on the ground in his hometown of Sirte earlier today did not represent justice (in the true sense of the word) for the numerous victims of his brutal 42-year reign in Libya. The images depict man's inhumanity to man and a total disregard for human life by the National Transitional Council (NTC) fighters involved in the historic operation. Gaddafi was increasingly unpopular both at home and abroad. He was accused of serious human rights abuses and was wanted by the International Criminal Court (ICC) for his role in the brutal crackdown of pro-democracy demonstrations that erupted in Libya in February. Images of a bloodied Gaddafi, in what appeared to be mob justice on the streets of Sirte, have evoked sympathy for the dictator and put into question the NTC's commitment to uphold the rule of law in Libya. The gruesome killing of accused persons, including those accused of the most heinous crimes, without due process of law must be condemned. Colonel Gaddafi was no doubt a brutal ruler and scenes of celebrations in Libya - even in the strongman's hometown - add weight to this assertion. However, it is worthy to note that Gaddafi was denied the right to due process and protection of the law. His basic rights as a human being were violated in the same manner in which he was accused of violating the rights of Libyans. This does not make those involved in the killing any better than the controversial colonel. Surprisingly, world leaders, including UN Secretary-General Ban Ki-moon have termed the killing a "major step" for Libya and the beginning of a democratic transition. No world leader, as of the time of this writing, has expressed concern about the lawless matter in which the toppled leader was killed. Muammar Gaddafi was "arbitrarily deprived of his life" today, 20 October 2011 by NTC forces. The NTC failed to guarantee the rights of the accused as prescribed by law. Gaddafi should have been taken alive and brought to justice. It would have been a victory for the rule of law to see him in the dock in a well-constituted national or international criminal court. This would have been justice for victims of his tyrannic rule. The killing of Gaddafi marks the end of an era in Libya, but it does no represent justice. As Libyans celebrate their new-found freedom, it is important to remember that the right to life in non-derogable under international law. This is in no way in defense of Colonel Gaddafi and his firm grip on power; it is in defense of the rule of law. Very good blog entry, Zuzeeko, and some good hard questions. 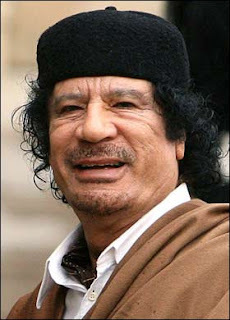 The question is why was Colonel Gaddafi killed before being tried? Who wanted him silenced? His death is a big setback as well for Western democracy in Libya. I wish to warn family, friends and the public about scams and fraudulent schemes offering or soliciting money in my name. Anyone contacted purportedly by me or on my behalf in this regard should thoroughly verify the authenticity of the message. The best way to do so is to contact me directly via this blog. Click here to subscribe to this blog or enter your email address below. Welcome aboard, On The Road To Success! 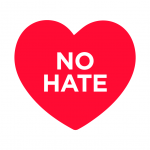 This blog is designed to tackle issues of human rights and fundamental freedoms, the rule of law, politics, social trends and other global issues that would get you thinking and learning. 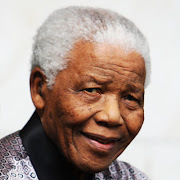 The blog even adds another dimension as it inspires ordinary people to challenge the status quo - combat man's inhumanity to man and seek progress through social justice. I hope your time spent on the blog is time well spent. I'll see you when you see me! In the meantime, I invite you to follow me on Twitter. Born and raised in a middle class family with strong Christian values in Cameroon, Central Africa, I learned quickly that all natural persons are born free and equal in rights. I graduated from the University of Buea with a Bachelor of Laws (LL.B.) degree, and received a Master of Laws (LL.M.) degree in International Human Rights Law and International Labour Rights from Lund University, Sweden. My passion is in promoting human rights and the rule of law. I'm a married proud daddy of two. This Blog, R.I.P. - We're closing the blog — but you're still stuck with my writing! On The Road To Success | Home of Zuzeeko's Blog is licensed under a Creative Commons Attribution-NonCommercial-NoDerivs 3.0 Unported License.